A B.Y.O.B. 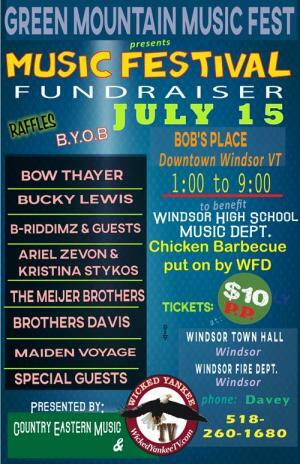 event, the day will feature incredible local music, raffles and a delicious chicken barbeque hosted by the Windsor Fire Department. For more information, please call Davey Davis at 518.260.1680.